"This is for those folks who love sour. I made it with my Vitamix® blender, modeled after a recipe that I got at the smoothie shop." 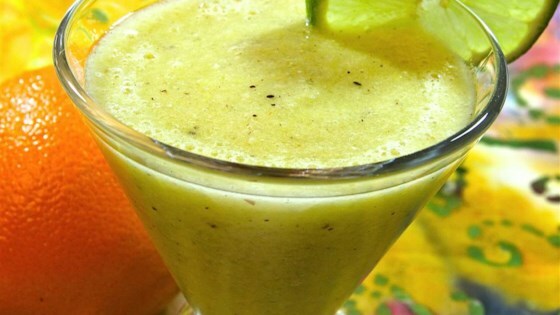 Blend ice, orange, limes, lemon, kiwi, and honey together in a blender until smooth. I'm a big sour fan I love this ill definitely be making this again!